I love October. I love it almost as much as my beloved September (which only has a slightly higher ranking because of my birthday). I love pumpkins, crisp mornings, and tall boots. I love football, fall leaves, and Halloween costumes. And I love 31 Days. I realize that my 31 Days (2012 here and 2013 here) aren’t really writing on a different topic as much as it is a kick in the pants to get a lot of projects done in a small amount of time. There’s usually a theme – a loose one – and this year will be no different. I’ve just finished up a small run of projects all about white – about how I’m breaking the rules and wearing lots of white after Labor Day. But now I’m ready for some color. And then last weekend, looking around my house, I realized that I’m ready to do something completely different. 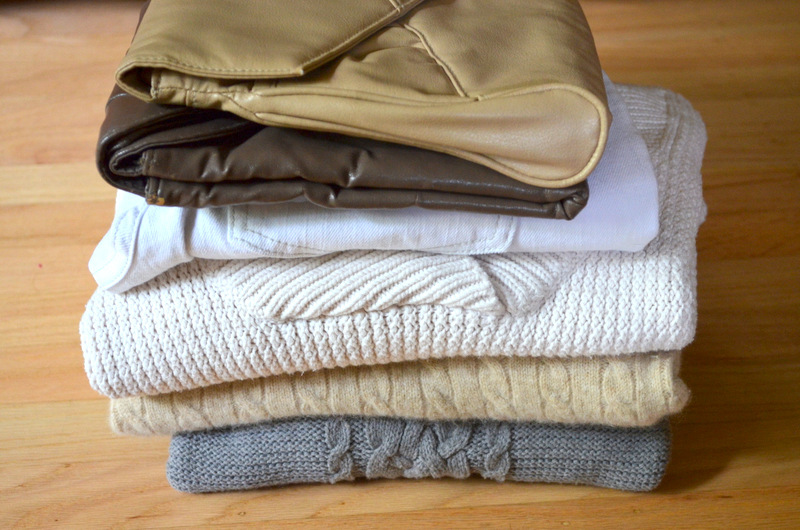 I love neutrals – don’t get me wrong – but I need more color. The living room needs some new life – not to mention it looks almost exactly the way it did the day we moved in. Adopted California Father brought in artwork and rested it on the mantle until I could decide where I wanted it to go. It’s still there. So this month (after the Rummage Sale, of course), I’m going to work on adding splashes of color to my life – clothes, jewelry, and home – and learning more about the science and art of color along the way. These are the colors of a rainbow! Starting out the gate with a fun RED project tomorrow, I’ll cycle through the rainbow 5 times this month, ending with a rainbow-colored project at the end. What about you? 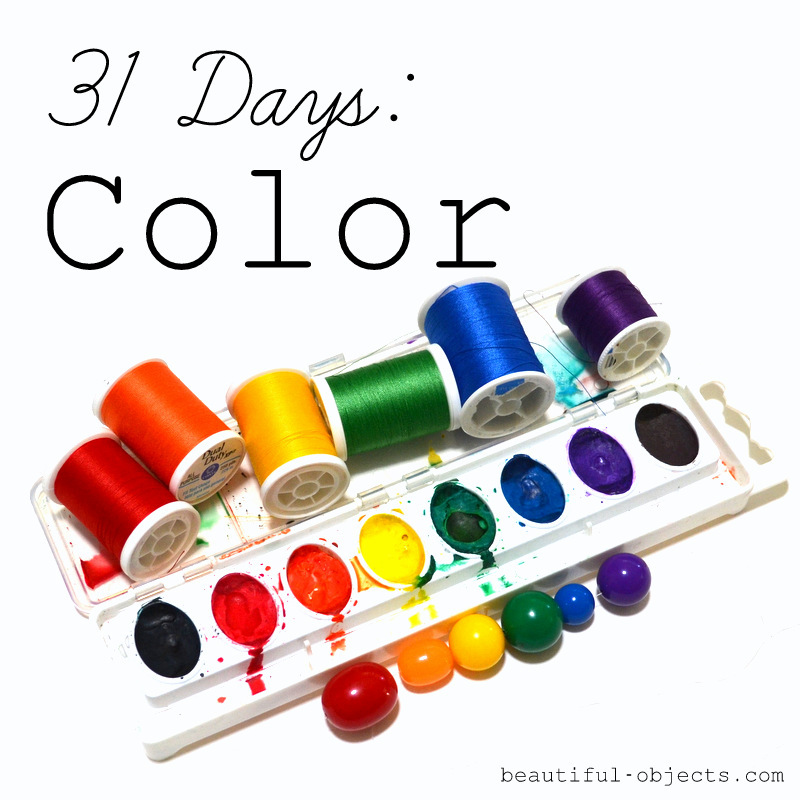 Are you doing 31 Days? Have you ever? I think the only reason I can even imagine doing 31 Days this month is because I’ve already mapped out my posts. 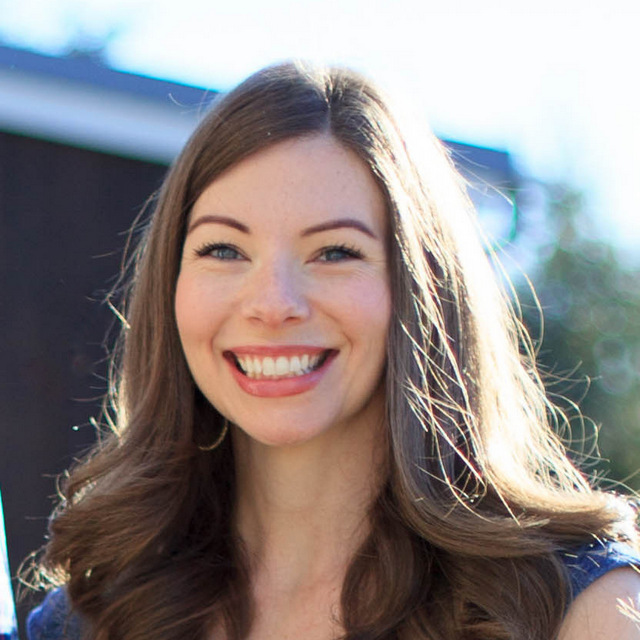 Do you prefer to just do things willy-nilly, or do you like to have some structure to what you do, some boundaries or a schedule? I’d love to hear. Day 3: Yellow – not so mellow! Cool topic – looking forward to your posts! Too funny – when I was browsing through the 2013 posts, yours was one of the ones I read over. I love Twyla Tharp and her insights into creativity. I don’t remember if I “liked” any of the posts – hopefully I did. Your topic is interesting again for this year. I look forward to seeing what you do. I agree with Magazine Mom that the button is really cool. That is funny! I love Twyla Tharp, too – I feel like every time I read that book, I find something new. Thanks for stopping by – looking forward to your 31 Days also!